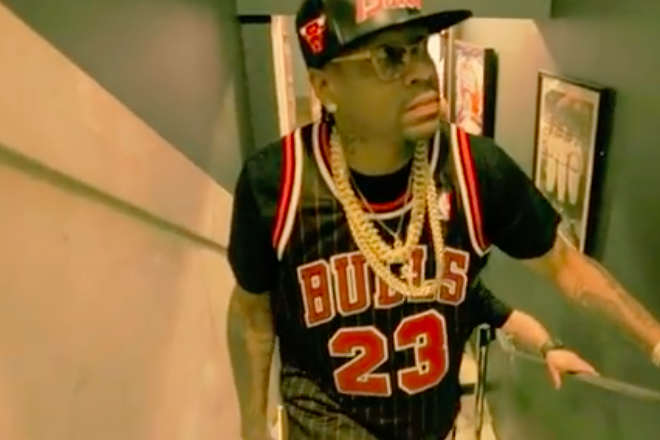 Allen Iverson sports a Michael Jordan jersey. He's heard them all, he appreciates them and he understands the special place he holds in basketball culture around the world. But at 43 years old, Iverson is starting to feel like everyone has had something to say about him except himself. It's time for him to show the world who he really is and what he really thinks. Writing for The Players' Tribune, Iverson gives a revealing and honest portrait of himself as a retired NBA superstar, one who's had time to process his public perception over the years. From anecdotes about Larry Hughes and John Thompson to the movie "Heat," analytics and his youngest daughter on the night of his Hall of Fame induction, Iverson entertains with a series of bulleted points addressing his personality and point of view. There's one issue he'll never budge on, no matter what anyone has to say. Michael Jordan is the greatest of all time — not LeBron James. He doesn't even use basketball to illustrate his point. On the night of the 2003 NBA All-Star Game — Michael Jordan's last — Iverson decided to show up to the stadium in Atlanta with an outfit paying tribute to his hero and teammate that night. He wore a throwback Jordan jersey and a fitted Bulls hat. Just last month, Iverson said that Jordan's first words to him were, "What's up, you little b****?"